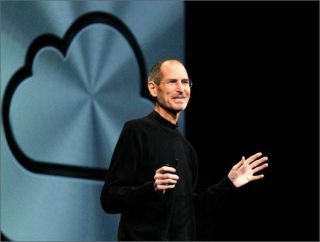 The news of Steve Job’s death caught the social media world by storm late Wednesday, with an outpour of people thanking the tech visionary for changing the way they live their lives. Apple announced in a statement posted to its company site that its founder and former CEO died after his long battle with pancreatic cancer. In 2004, Jobs received a liver transplant and took several medical leaves of absences in recent years before finally resigning as CEO of Apple this summer. At press time, nearly 65,000 people “liked” Zuckerberg’s status, with many adding their own condolences to the message. “Steve and I first met nearly 30 years ago, and have been colleagues, competitors and friends over the course of more than half our lives. The world rarely sees someone who has had the profound impact Steve has had, the effects of which will be felt for many generations to come,” Gates wrote. "I will miss Steve immensely." President Barack Obama also released a statement on WhiteHouse.gov: “Michelle and I are saddened to learn of the passing of Steve Jobs. Steve was among the greatest of American innovators - brave enough to think differently, bold enough to believe he could change the world, and talented enough to do it,” Obama said. Meanwhile, phrases such as “ThankYouSteve,” “RIP Steve Jobs” and “iSad” immediately began to trend on Twitter following the news. “Pixar” also shot up to the top of the trending list, as many remembered Jobs’s role as former Pixar chief and Disney executive. Those in the tech industry weren’t the only ones to share words of sympathy on social networking sites: “Steve lived the California Dream every day of his life and he changed the world and inspired all of us,” Arnold Swarzenegger wrote on Twitter. News of Jobs’ death comes one day after the company unveiled the fifth generation of the iPhone, theiPhone 4S, which Jobs played in integral role in developing.